Daylight saving time began from today in Canada. Maybe, Japanese is less familiar with it. When I watched the clock and smartphone, I screwed up different from between. I cooked dinner today. 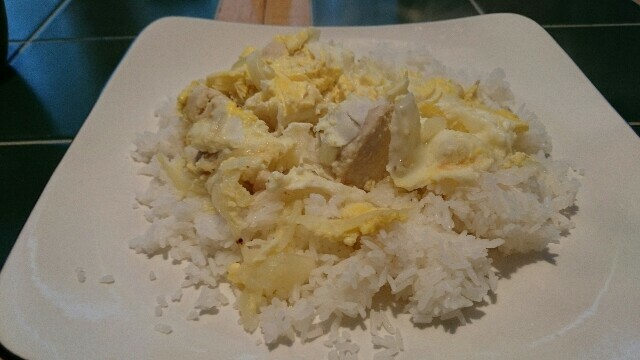 That was a bowl of rice topped with chicken and eggs. Host family said it was delicious so I was happy. If that helps, I don't have the pictures. edit: I took picture of oyakodon.